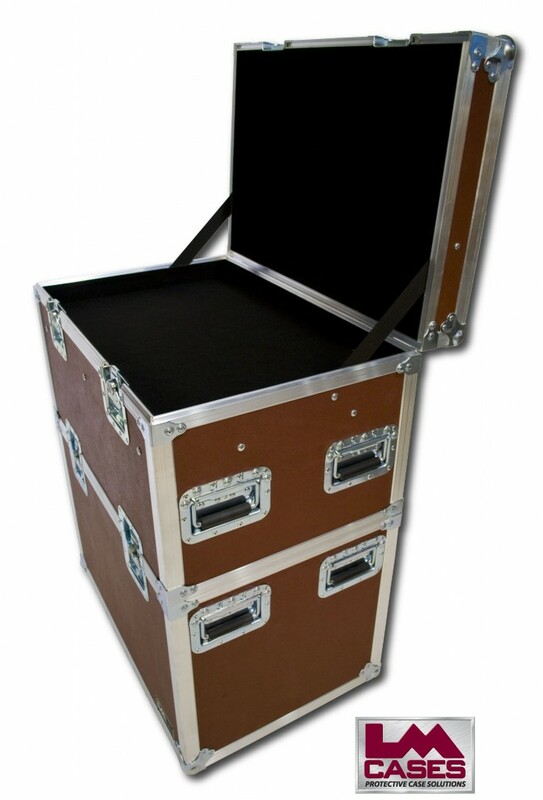 This case was built for Austin TX based sound company Nomad Sound. 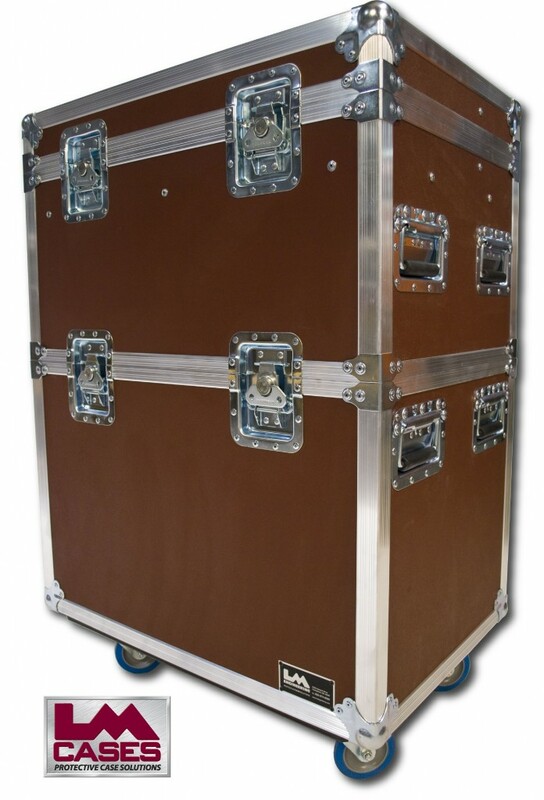 The case is designed to hold 2 Nexo Geo S1230 speaker cabinets in the bottom section, and rigging accessories in the top compartment. 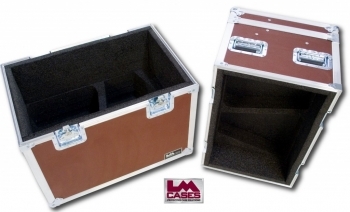 The case features a custom CNC cut insert that contours the speaker cabinets to absorb shock and prevent movement. The CNC cut insert also allowed the case to be much smaller because a wood divider was not needed to separate the cabinets. The case is 30" wide allowing it to fit Nomad Sound's truck pack needs. Truck pack was the driving factor behind putting the rigging storage above the speaker cabinets. This not only allowed storage for what ever rigging hardware was needed (flybars, shackles, Speakon cables etc..), it also was a clean way to lay it out. This solved the age old problem of reaching into a deep dark black compartment to find a black component. The case is built out of 3/8" plywood with Wine colored ABS coating. It features 4" Colson casters, and deep recessed handles.